A Nottingham business recently replaced a first floor window with a door opening and erected an external staircase in order to provide external access to the first floor apartment above his business. Unfortunately this work was undertaken without planning permission. 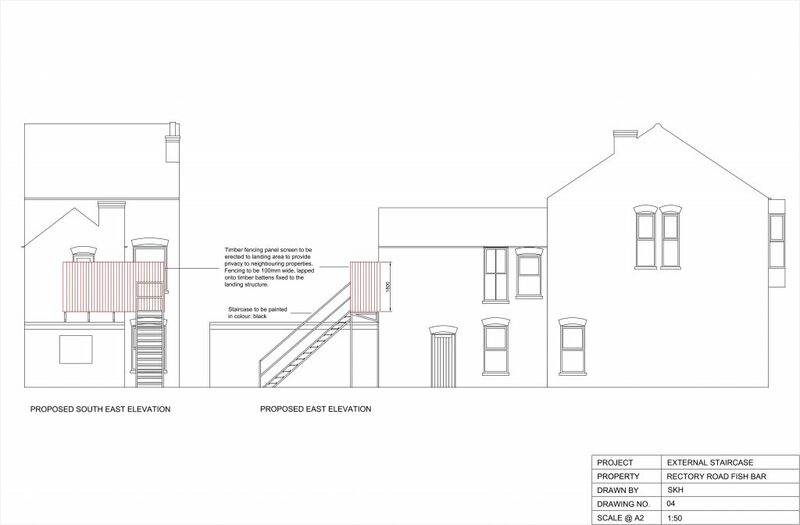 Evans and James were therefore appointed to apply for retrospective consent for the staircase and proposed screening due to it overlooking residential gardens. The brief from the client was for the proposed screening to be as low cost as possible. A fenced screen to the landing area of the staircase was therefore proposed and we are delighted that the Local Authority have now awarded retrospective consent.